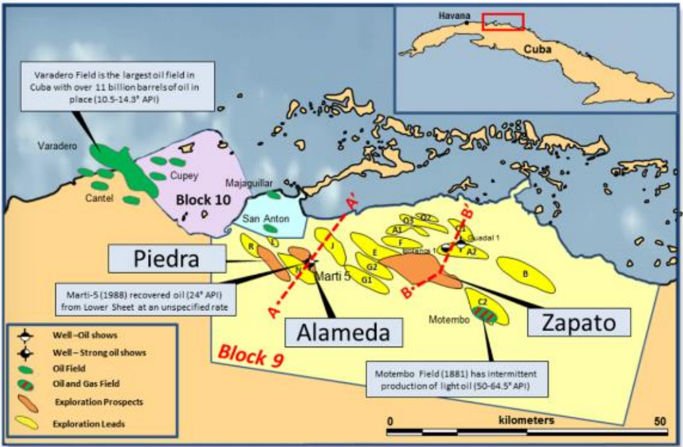 Late on December 31, Melbana Energy Limited (ASX: MAY) signed a binding definitive farmout agreement with respect to its Block 9 Production Sharing Contract (Block 9 PSC) in Cuba. The deal will see the Alameda (140 million bbl target) and Zapato (95 million bbl target) prospects drilled by November 2019; a third well by July 2020, and it means MAY will be fully carried for 100% of all activities and costs for remainder of term of Block 9 PSC (20+ years). The binding agreement is with Anhui Modestinner Energy Co., Ltd. (AMEC), a wholly owned and guaranteed subsidiary of Anhui Guangda Mining Investment Co. Ltd. (AGMI), and follows on from the Letter of Intent signed by Melbana and AGMI. Under the terms of the deal, AMEC will fully fund all costs associated with the Block 9 PSC from 1 January 2019, including the drilling of at least three wells. The first two of these wells will be drilled by November 2019 on Melbana’s preferred exploration targets Alameda and Zapato. 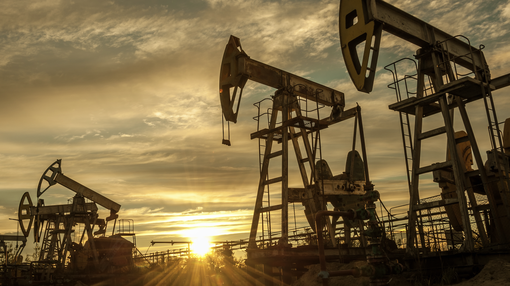 In the event of a discovery, the third well may be either an appraisal well on Alameda or Zapato or, if no discovery, an exploration well on the Piedra prospect. In all cases, the third well will be drilled prior to July 2020. AMEC is also responsible for providing any required guarantees and will provide Melbana with 12.5% of any Profit Oil. In the event of a development, Melbana will recoup its Block 9 back costs (approx. US$3.5M) over time from the Cost Oil in proportion to its relative spend versus AMEC. The Alameda Prospect is currently the highest ranked exploration target in Block 9 PSC. Alameda is a large structure located in the western part of Block 9 and is in a similar structural position to the Varadero field, the largest oil field in Cuba, approximately 35km away. The proposed Alameda-1 well which will test a combined exploration potential of over 2.5 billion barrels Oil-in-Place and 140 million barrels of recoverable oil on a 100% unrisked, best estimate basis and 279 million recoverable barrels aggregate high side potential. The primary objective at Alameda ranges in depth from approximately 3000 to 3700 metres. The presence of oil in the Alameda structure is supported by the Marti-5 well drilled within the prospect closure in a down flank position nearly 30 years ago and which recovered 24° API oil and had numerous oil shows extending over a 850 metre gross interval from the lower sheet section. The proposed Zapato-1 well location is in the central portion of Block 9 and is designed to test a lower sheet closure in close proximity to the shallower Motembo oil field, which has historically produced a high quality light oil. The Zapato feature has a crest at approximately 2000 metres and is a robust structure with nearly 1000 metres of vertical relief. Recently completed gravity and magnetic studies commissioned by Melbana and undertaken by Cuba’s specialist technical laboratory CEINPET over the Zapato prospect have indicated a strong gravity and magnetic alignment with the structural interpretation Melbana’s technical team derived from seismic and surface data. This result is supportive of Melbana’s assessment of the prospectivity of Zapato as a large carbonate duplex structure along strike from the Motembo discovery which produced light 56° API oil.